Ah right... Abba could be the one possibly then. All good info there lads.. I'm liking that Abba for two reasons Gixxer.. 1 working Height... 2 It's wheel free. 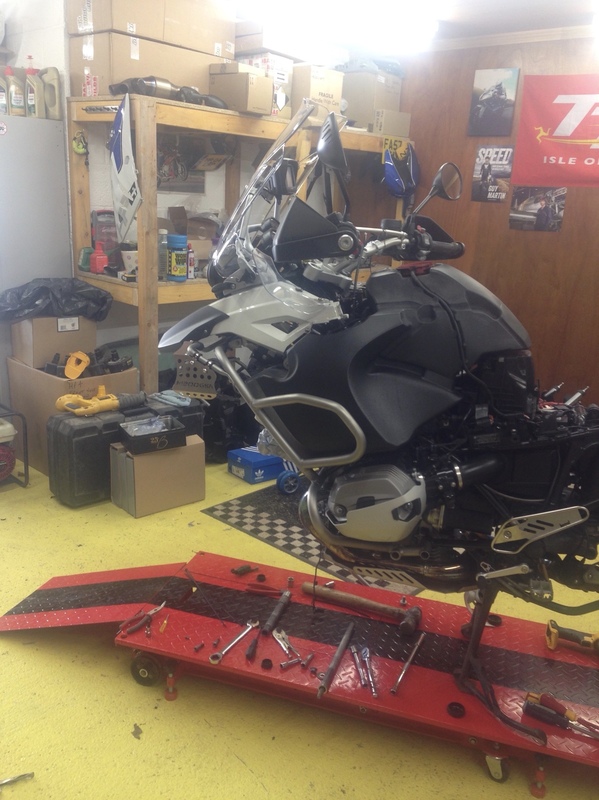 Will it lift the machine without removing fairings first and what is the access to fairing fasteners if thats a yes. Wheels off is a must as I do my own brakes..discs C and Sprockets etc and good for adjusting head bearings if required.. Yes it will without fairing removal but som can be awkward to get off. Perfect for wheel removal type jobs. Can also get different adapters for other bikes. Here’s mine when my garage was a bit tidier. I’ve changed the front wheel chick to the same one as plphones bolted direct to the metal plate. Much more secure when pushing the bike on. Last edited by stuartb; 12th September 2018 at 09:29 PM. The one in the first pic is the one that came with the ramp. I have removed it and put one of the "roll into" type clamps on it like the one in plphones photo. Don't bother coming over this weekend , I'm out, ehhhhhhh washing my hair, emmmmm visiting lepers in India. Oh f13k it, aye I'll be here, the kettle will be on standby, lol. Yer teas shite anyhow... might jump over Sunday if your about. I'll bell you see where your at... that Sky lift that Gixxers got looks braw too... I am drawn to a ramp for some reason...maybe cos I worked under them for years..
Might punt my 1 Jac if whatever I go for works well.. I am drawn to a ramp for some reason...maybe cos I worked under them for years..